The term “smart casual” has become a go-to dress code for everything from afternoon weddings to birthday dinners with friends. That makes it all the more confusing! Fortunately, the 1+1 rule solves this style dilemma every time: wear one dressier item with one casual item to create a smart casual look that showcases your style. 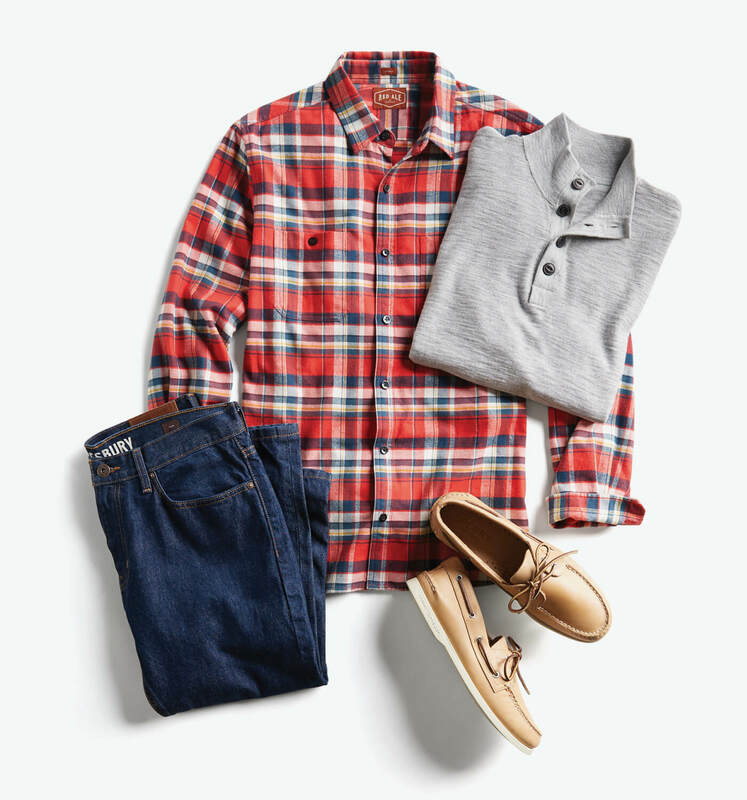 Read on for tips to get smart…(casual) with your look. Pick a pair of refined dress pants or slacks and style them with a more casual cotton button-down like a classic chambray shirt or a polo. Inject your own personal flair with a conversational print (we’re currently loving unique dot prints) or seasonal color. A quality pair of jeans is always a great start for the casual side of your 1+1. 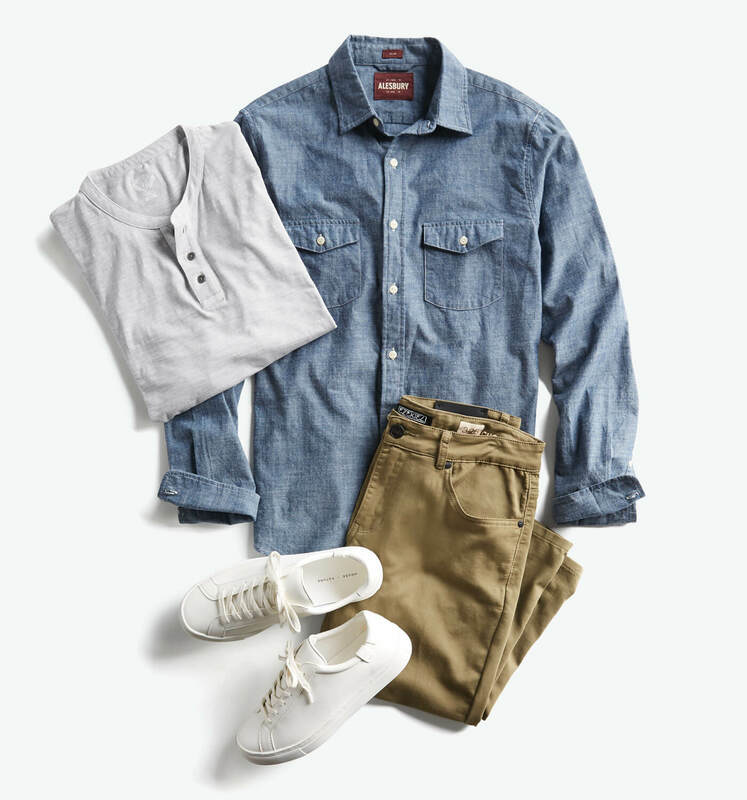 Stick with a dark wash in a straight or slim style to maintain a more dapper casual feel. 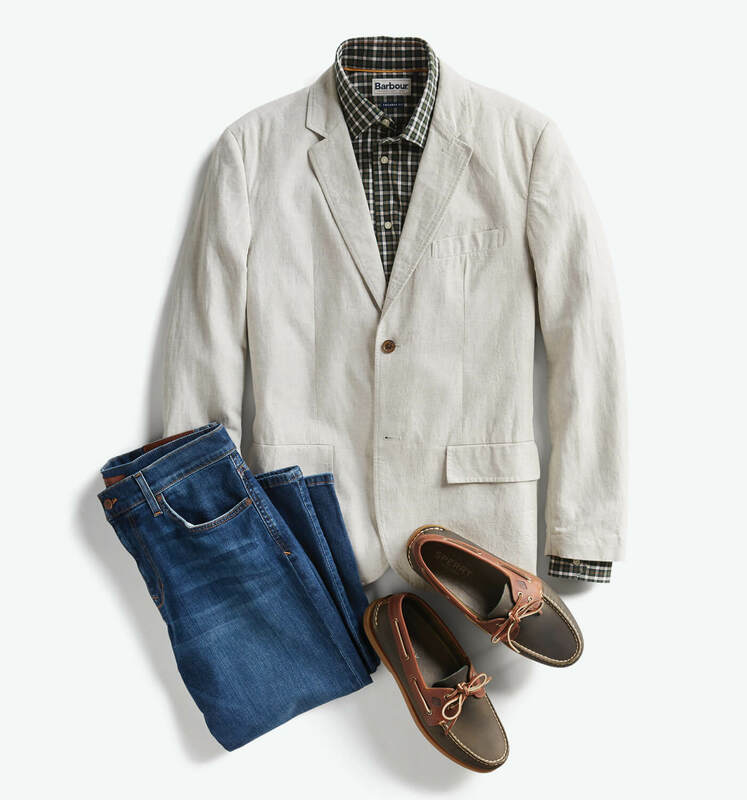 Add a dress shirt or elevated casual button-up and finish with a sport coat or sweater to finish. Polish points: When wearing a tie with jeans, stay away from sneakers and opt for a Chelsea boot or derby shoe. A smart casual occasion like an evening event or a work mixer gives you an opportunity you don suiting separates in a less buttoned-up way. Sport your navy blazer with autumn-hued pants, then pair with oxfords or monkstrap shoes to tie the whole look together. Want to wear your go-to suit? Lose the tie and leave that top button open for a dressed-down but polished look. Remember, it’s always better to overdress than underdress. If you do have doubts about your attire, consult with the host on what to wear. They’ll appreciate your respect in seeking out the proper level of pizzazz. Now that you’re schooled in smart casual, let us know how you want to make your closet smarter.